What is Our Role in Equipping Ourselves for Ministry? “God doesn’t call the equipped” is a bad quote. Like many Christian quotes on T-Shirts and coffee mugs, this gem has taken on a life of its own. While mildly encouraging (if slightly self-disparaging), it has falsely encouraged people to be lazy in their spiritual disciplines and to amble into ministry positions with little idea of the physical and spiritual opposition they would face and the study and commitment required to pastor or lead people well. Taken literally, the quote is actually something we never actually practice. After all, if everyone who spoke this quote hired church staff based on this principle, the pastor resume could fit on a Sticky Note. Why is it so popular (besides as the occasional rationale or justification for hiring under-qualified people)? There is actually some truth in the statement: you may not feel qualified, but you should answer God’s call anyway, because He promises to equip you with what you need. None of us are worthy to be used by him. However, God may call very qualified and gifted people that have been faithful through years of spiritual preparation without ever knowing where God would use them. 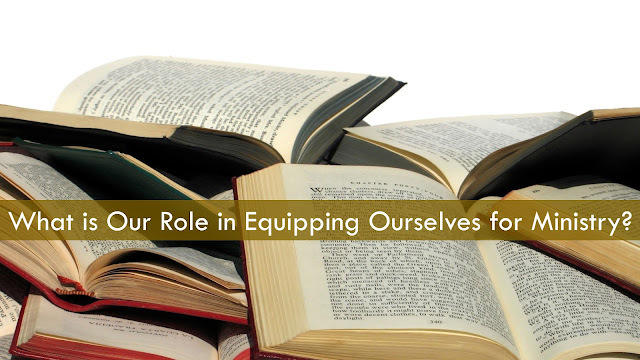 In many cases, God has been doing a lot of equipping long before a specific call ever arrived. It tells us that God’s servants will be equipped based on the qualifications, resume, and power of God revealed in our Lord Jesus. However, a misinterpretation of Hebrews 13:20-21, can lead to a lazy disciple that sits back and waits for equipping to somehow enter their life via osmosis. We must read Hebrews 13:21 in light of other scripture to understand the vehicles God uses to equip in the first place. Galatians 5:22-23 mentions several evidential fruits that will be signs of healthy growth taking place in the life of an individual (love, joy, peace, patience, kindness, goodness, faithfulness, gentleness, self-control). 1 Timothy 4:7 warns the young church leader to first avoid “silly myths” (ESV) and instead “train yourself for godliness” (ESV) or “discipline yourself for the purpose of godliness” (NASB). This verse is used as Donald Whitney’s pivotal motivation for his widely acclaimed book Spiritual Disciplines for the Christian Life. Spiritual disciplines as a whole are meant to be a means that God uses to equip the believer for service, but the decision to actually practice them is left up to us. A better understanding of this over all concept instead focuses on the second half of the famous, pithy quote: "God Equips the Called," but He also may require them to work for it. Why does this matter? Those who embrace the notion that God only calls unqualified people, end up championing their ignorance as an admirable trait. They often degrade higher education and lament sermon preparation as well. Let us remember that God has called us all to be good stewards of the gifts He has given us. While we cannot say that God only calls the unqualified, we can agree with the spirit of the quote and focus on His victory and power in our life rather than our own inadequacies – just be sure not to use God as an excuse for not pursuing Him with all your heart!